Usually when I get this question, I would decline most of time. Why is it so? This is because I have to attend my taekwondo training at school in the evening. Through taekwondo training, we can strengthen ourselves, and most importantly learn self-defense. When you encounter evildoers, you don’t need to be afraid. You can fight back by applying what you had learn in training. But sometimes evildoers too have weapons that can kill or hurt you and you still need to protect yourself by running away. Not only that, we could also relieve stress by learning taekwondo in SMJK Kwang Hua. Parents don’t have to worry about their children’s safety, because it’s totally safe here in school. 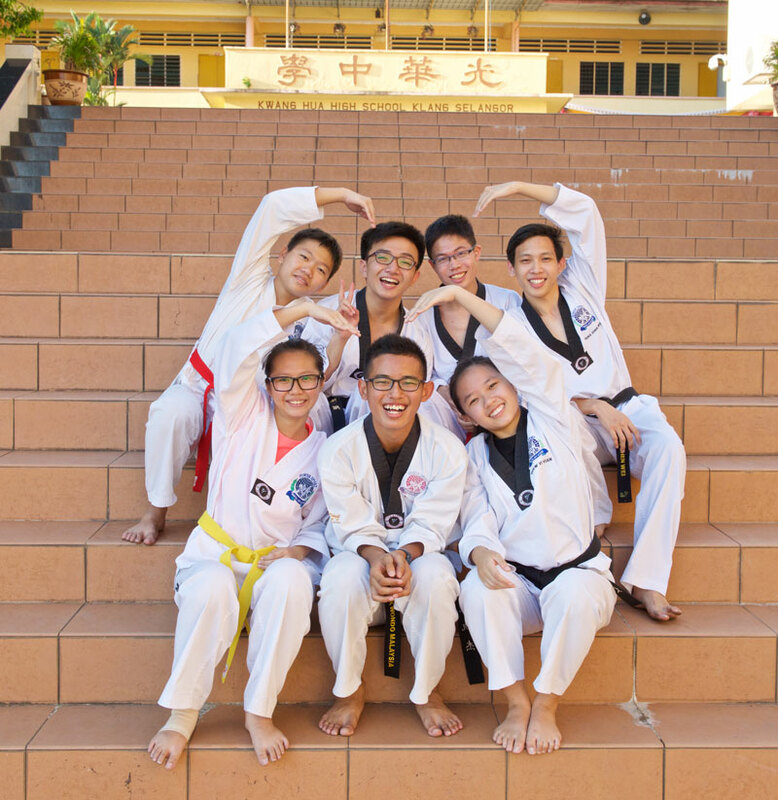 Of all the benefits we got through taekwondo, is all thanks to Master Leong and his assistant Mr. Tan Kien Tat for giving us the opportunity to learn. Are you touched? Yes? Okay, let me tell you more about it. 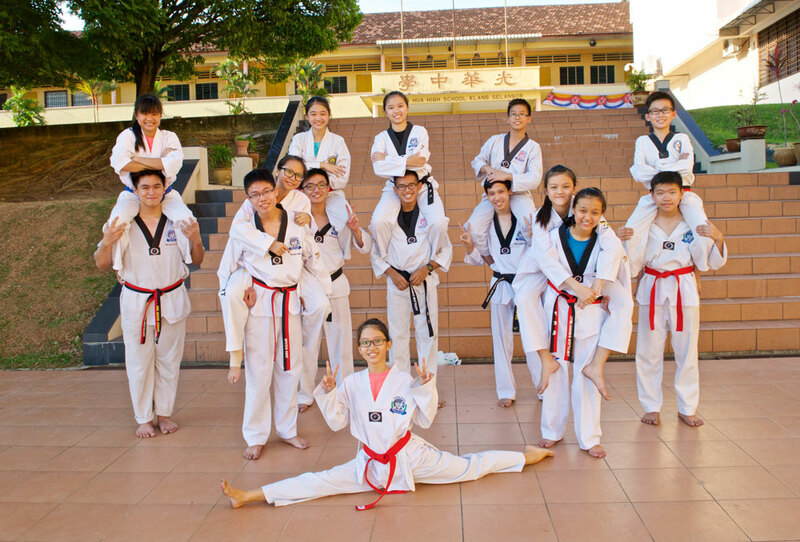 Taekwondo Club in SMJK Kwang Hua has over 40 years of history. Our training is held on every Saturday from 4.30pm to 6.30pm at dataran SMJK Kwang Hua. Besides the training, there are also sparing class before training and training class which is self-defense class using stick after training.